Tiffany's Online Finds and Deals: A must have for camping! A must have for camping! Camping can be fun but not if lots of mosquitoes! 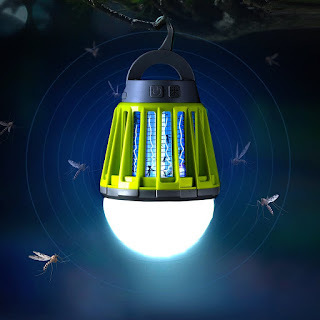 I love the idea of these new rechargeable 2-in-1 bug zapper and camping lanterns! Right now you can get this must have for only $19.99 with code: ZEIUCREH at checkout! Can choose any of the 3 colors!